INDUSTRY.co.id - Jakarta - Member of the Special Committee of the Draft Law on Amendment of Law No. 15 of 2003 on Combating Terrorism Crime, Dave Laksono admitted there is a section in the bill which regulates the threat of criminal punishment for terrorists involving children in their acts of terror. He explained the rule because it looks at acts of terrorism in the international world that involves many children so that the Pansus enter the article. Dave explained that initially the Pansus thought that terrorist acts involving children could happen in Indonesia, and it happened when bomb incident in Surabaya. 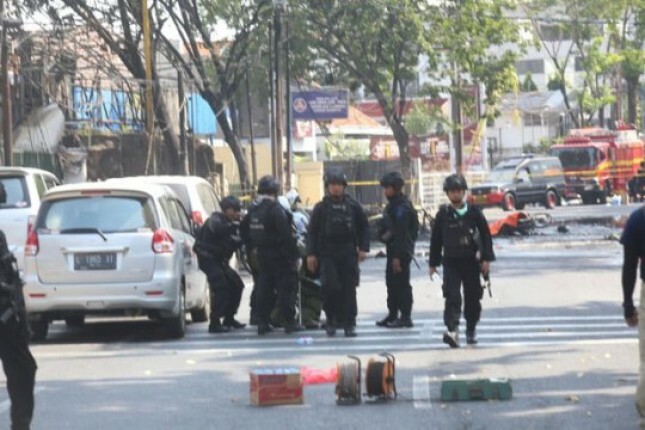 "At first we thought maybe a terror act involving children could happen in Indonesia and in fact happened also, it was the spirit of the committee from the emergence of Article 16A," he said. In Article 16A of the Law on Amendment of Law No. 15 of 2003 on Combating Terrorism Crimes states that everyone who commits a criminal act of terrorism involving children, the threat of criminal is added by one third. Previously, the House of Representatives plenary session on Friday morning approved the Bill on Amendment to Law number 15 of 2003 on Stipulation of Government Regulation in Lieu of Law No. 1 of 2002 on Combating Terrorism Crime into Law. Furthermore, the House of Representatives on Friday (25/05/2018) sent a letter to the government regarding the notification that the institution has given approval of the bill so that it can be passed into law soon.